Forget about how 1974’s Black Christmas revolutionized the slasher genre. It’s all about how many times Olivia Hussey answers the phone in the movie and how she answers it, right? Ahhh – that was fun, wasn’t it? Why she feels the need to shout so much and act like she’s deaf is beyond me, but she definitely is one of the most memorable phone answerers in recent history. Think of that as my awesomely random holiday gift to you this season and I bet you that when you watch Black Christmas this week, you’ll chuckle every time she picks up the phone. Merry Christmas! Less than a week left until Christmas, and I bet a lot of you have been procrastinating on buying those presents for your loved ones. That’s where I come in to save the day! But only if that loved one is a huge horror fan and only if you have $800 to spend. Up on Ebay right now, you can purchase an original U.S. one sheet for the 1974 Bob Clark classic, Black Christmas. Ask pretty much any true horror fan and I bet that Black Christmas is #1 on their list of Christmas-themed horror movies. 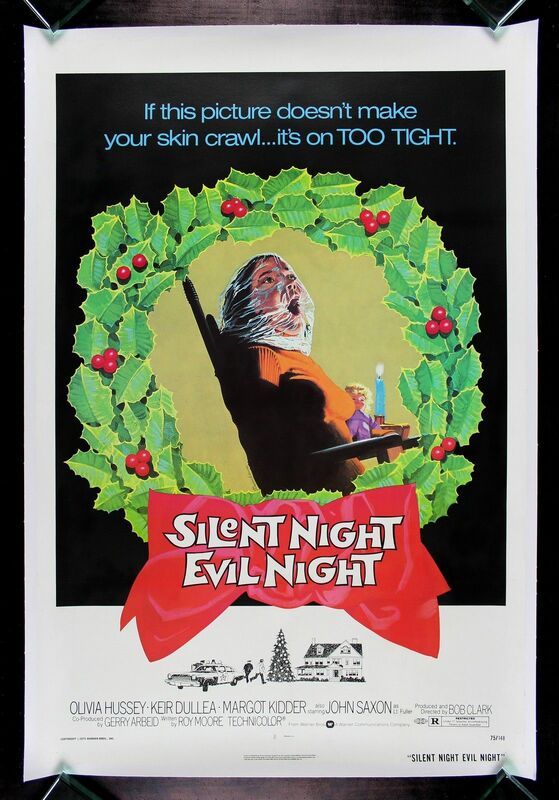 But did you know that it was originally released in the U.S. as Silent Night Evil Night? And also Stranger In The House for those playing at home. The poster that is for sale on Ebay is the original with the Silent Night Evil Night title and can be yours for about $800. A moderately large price to pay for a slice of pretty sweet horror memorabilia. 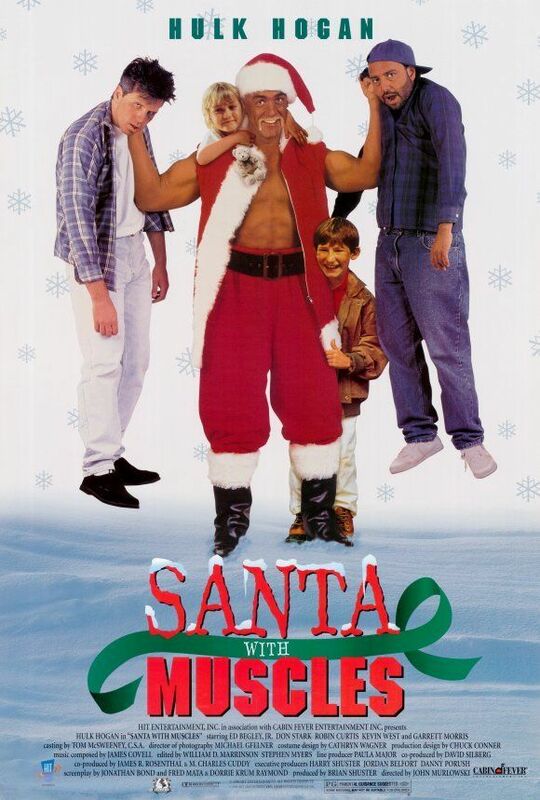 You can check the listing out HERE, but if that is a little too steep for you, there are 4 copies of the poster for Santa With Muscles for sale at $18 a pop. Just don’t blame me for the looks of disappointment you’ll get from whoever you give those to.